The small shop only has 5 tables. 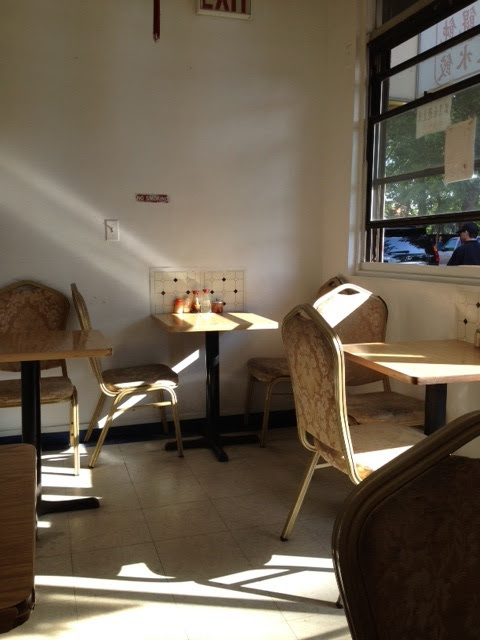 The menu is taped to the wall, and lists a variety of wonton, noodles, dumplings, and rice dishes. Spicy wonton with pork and vegetables (12 pieces), $4.50. (8 pieces are $3.50). 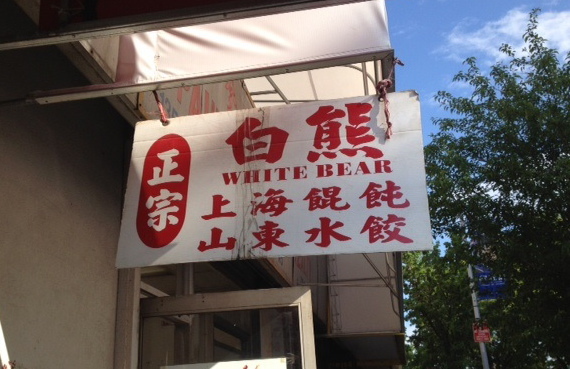 This is what you must order if you visit White Bear. 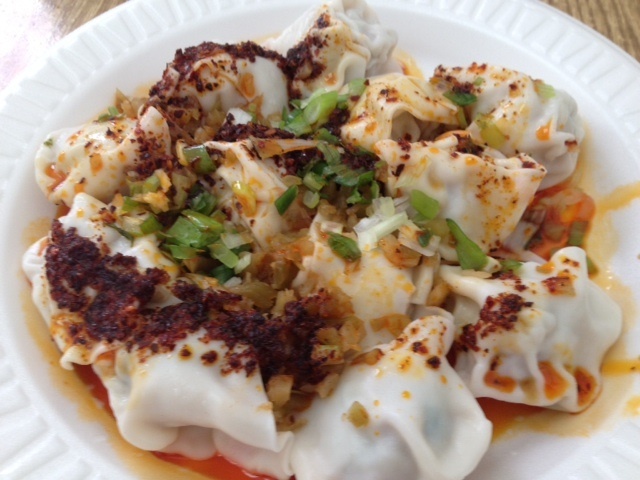 The wontons are topped with scallions, pickled vegetables, and chili oil. Surprisingly, the wontons weren't actually very spicy. I have a very low tolerance for spiciness and I had no problem eating these. 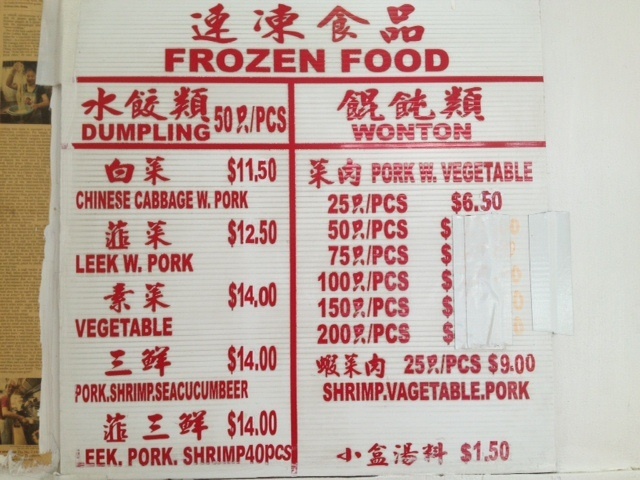 The menu for frozen dumplings and wontons.